Every attention to detail is given to this must-have piece. Training-conscious but street cool, this is the last jogger you'll ever want to buy. 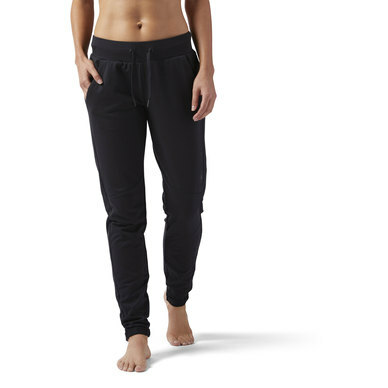 �French Terry�jogger with�organic cotton, which�helps to conserve energy and reduce the use of synthetic pesticides and insectides. �Forward seam & cuffed hem for a flattering fit. Rolled cuffs for a laid back look.